Stripes never go out of style. They only get better each season. There are so many innovative and trendy ways to wear them. Stripes are one of the most popular patterns in fashion. High-end designers reinvent them in different colors, match them with other prints or even base their whole collections on stripes. From what we could see during the last fashion month, stripes are going among the trendiest patterns for 2018. And thanks to the newest trends, stripes	are	a lot of fun. You can never go wrong with a striped shirt and jeans. These shirts were a huge trend during the warm spring and summer days. You could see influencers rocking them in blue and white, white and red, and many other color combos. But it seems that striped shirts are here to stay. For the cold weather, there are a lot of different ways you can style them. Layering is the first fashion rule you should practice in fall and winter. Cozy sweaters, denim jackets, and chic coats are a perfect match for these shirts. Of course, accessories such as chunky scarves are always welcomed. 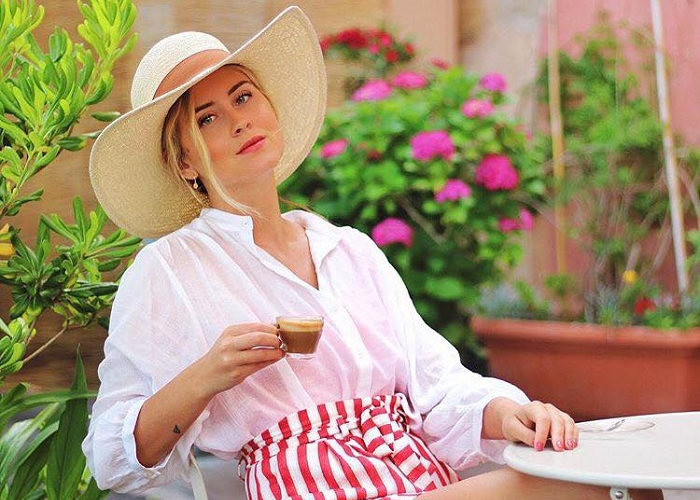 Famous fashion bloggers love	to wear stripes with denim. It doesn’t matter if is a pair of cool jeans or distressed denim jacket. You can do both. To that look, you can add a	statement-making pair of boots and accessories. It sounds like a winning outfit. Another huge trend for 2017 is wearing mismatched prints. If you can manage to pull off this look everyone will love your statement outfit. Multicolored stripes were all over the runways this year. If you are not a big fan of color,	keep in mind that checked blazers look amazing with striped shirts. We have to mention the iconic black and white stripes. This is the pattern that every single lady owns in her closet. Some have dresses, T-shirts, skirts, while others have pants. These designs are also the easiest to combine. Black and white can be matched with a vibrant shade such as red, blue or green to give your look a playful vibe. If you want to keep it simple, just stick to these two colors. We chose 22 cool ways that you can wear stripes this season. Starting from statement pants, to striped blazers and suits, we can’t get enough of this pattern. It’s the all-time favorite for influencers, and we are on a mission to make it your’s favorite.